I’ve put this to practice and observed miracles within my own life – miracles of circumstance, miracles of transformation, miracles of healing and rebirth – but never did I understand the miracle of community until the arrival of this baby boy. I admittedly come from the nature-loving, organic-food-growing, a little too skeptical of the medical system camp of midwifery and home birth – so while I did have regular visits to the OB, I declined my late term ultrasounds and opted for as little intervention as possible. We had regular prenatal care and we ran all our tests; according to everyone, all was OK. It wasn’t until 41 ½ weeks that we went in for an ultrasound, to make sure that baby was safe and I was approved to wait for labor. At this point, more than a week past our due date, we learned that there were limb anomalies no doctor could explain. Oh yes – and baby was breech! 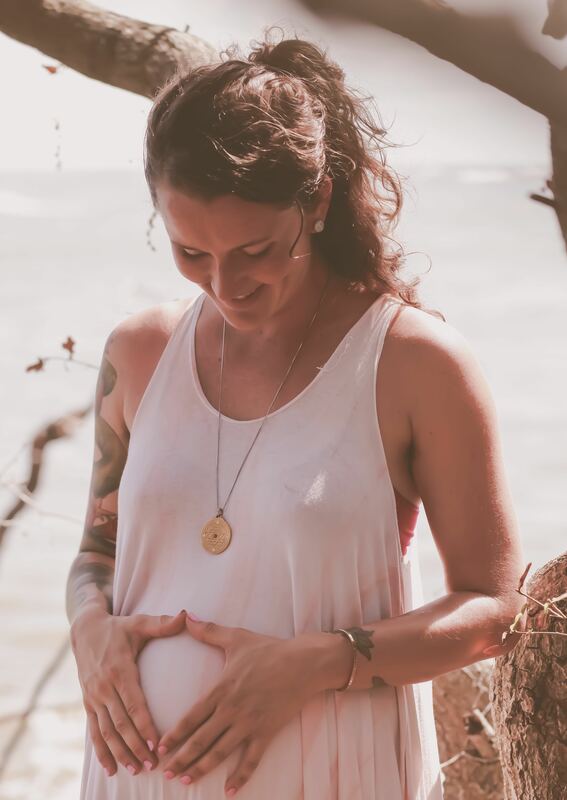 It was at this point, with the birth tub set up in my bedroom, close to my altar, with my birth playlist already set – that I was whisked out of home birth and sent in for an C-section. 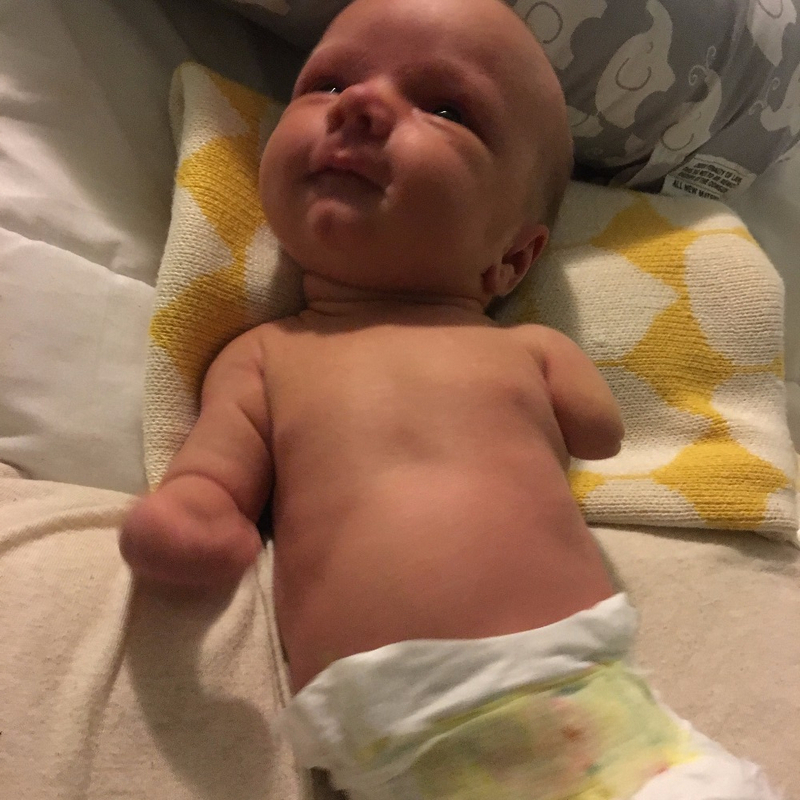 When Forrest was born, we learned that he had developed full term, with a remarkably healthy set of lungs, heart and brain, but he had never grown legs or his left arm. 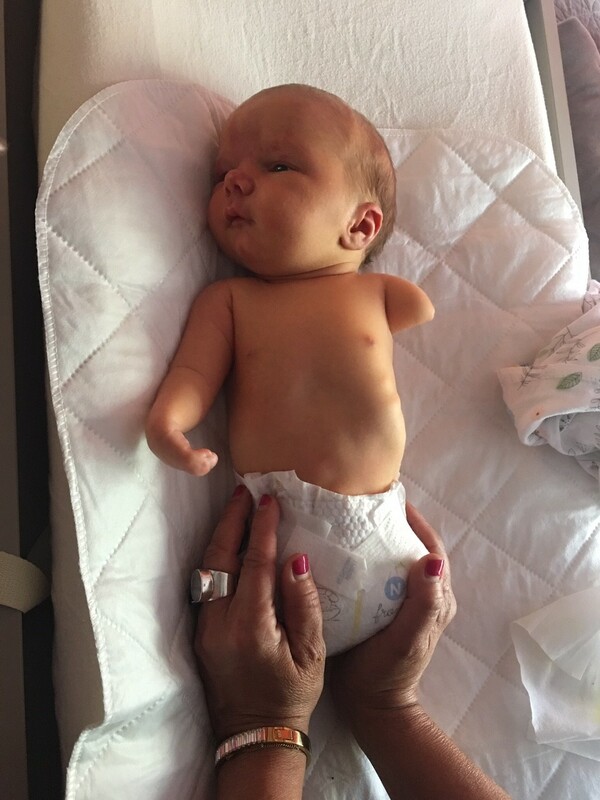 His right arm did develop, but the bones in his hand are fused. Now I could write an entire post about the emotional journey, the same journey I mentioned on GoFundMe: the terror, the guilt, the fear of birthing a son when we had no idea what was “wrong” – but that is not the purpose of this one. This story is not about the emotions, but the path toward community and wholeness that they ushered our family into. I did not know it when I wrote it, but my prayer that everyone who knows him surround him with the same unconditional love and acceptance that we felt for our son was not only heard, but answered – and it initiated a wave of support that I could never have dreamed of, not in a million years. You see, I work as a yoga teacher in town, and not a fancy tight-pant Instagram-famous yoga teacher but one deeply committed to the human whole. My passion is not in teaching the intricacies of a handstand, but the paradigm of togetherness and the magic that comes when we get over ourselves, and we all work together. Forrest entered the world in September and has already taught so many of us about the real power inherent in love. Because the circumstances of his arrival were so extremely unexpected, and because I wouldn’t have fooled a darn soul by pretending that I was okay, I put out a rare but deeply honest call for help. That call for help was answered by a community of the most prayerful and faithful people. Within days of announcing his birth, we were more than halfway toward our goal with over $50,000 in funds, which would be put toward his future needs. We received donations in the form of diapers, and therapists offering service; we received donations in the forms of prayers, and well wishes, and love. We had friends organize a sound healing to encourage the community to pray together. We had a farmer’s wife offer to introduce him to their church, so the minister could give his blessing. We had a photographer gift us with pictures, the sergeant of police holding him in her arms in our living room, clothing designers sending specialty clothes, packages arriving on our doorstep; we received hugs from strangers, everyone reminding us again, that God is Good, and he is at work. I couldn’t feel down, because I didn’t have the chance to. At every corner I turned, there was another human reminding me that life works in mysterious ways, all of which lead us back toward the truth. And the truth for us, is that we’re all in this together. Finance aside, Forrest will need what we all need: to be reminded that we are healthy, and happy, and whole. Forrest will need what we all need: to be reminded that we’re loved, and supported. Forrest will need what you have now taught me: that each of us has a very special gift to offer, and we thank you for offering them. I am writing now with the same call for help. Because for us, we have to sustain it. It is easy in our case as in any to fall back into old habits of blaming or doubting ourselves. Of wondering why certain things happen, especially when they don’t go as they “should” go; questioning who we are and what we’re to do on this great big Planet Earth. Forrest has taught me that we show up as we are, and we love with hearts wide open. He taught us that it’s okay to be vulnerable, and it’s okay to ask for help when we are in need; in fact, receiving help in such a way might be the greatest gift we can offer ourselves, and one another. We spend so much of our lives pretending like we have it together, like we’re not falling apart at the seams; but perhaps, if more of us opened up, if more of us admitted that we don’t feel okay, or that we do need each other; it would give more of us the chance to serve. It feels good to love one another. It feels good to be real. And so this holiday season, we offer great thanks. Forrest’s GoFundMe is still up and running. If you feel called to share or contribute, please find us at www.gofundme.com/funds-for-forrest. Even the smallest bit helps! We have opened a disability trust in his name and all money raised will go directly to Forrest, to support his future needs. Our dream is to easily provide him with the equipment and home modifications necessary to accommodate his journey. Thank you, eternal love and God Bless!